Finally, December 8 is officially a special holiday in the Philippines starting this year! 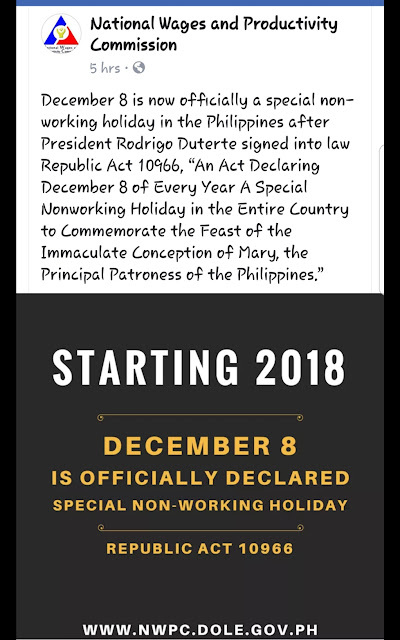 Republic Act 10966 was signed by President Duterte. Yahoo, mahaba habang bakasyon for my twin kids birthday! Thanks to my Mareng Jingle for sharing this good news.